The majority of people who are currently renting aspire to, one day, own a home. But, with the cost of renting and rising house prices – achieving this dream can take some time. So, when that day comes and you are finally ready to buy you could have been renting for some time – years, in fact. While there are many benefits to owning your own home, there will also be many changes to tackle – some of which you could struggle with. But, follow these tips and you will find the transition much easier. First you need to actually be able to make the physical transition between renting and buying which will involve money – and quite a lot of it. Start by working out all the costs involved and discovering the options available to you. Are you eligible to take advantage of government schemes to help you buy? 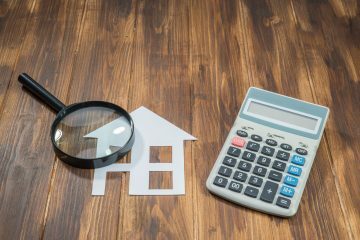 Do you know your options when it comes to mortgages? Do you know what costs are involved? Take time to do your research, you may find there is a way to buy much sooner than you thought and an end goal will make saving much easier. When renting, it is easy to move on whenever you want. Simply give your landlord the required notice and when that time is up, off you go. Owning a home, however, is a completely different matter. While of course you can sell your house, it is a much longer and far more expensive process. So, make sure when looking to buy you are thinking about the long term. When something goes wrong in your flat – perhaps the washing machine breaks down mid-cycle or you discover a leak in the bathroom – you call on your landlord and it is his or her responsibility to sort it out for you and foot the bill. In your own home however, there is no one to call – you must sort it out yourself and pay for it – if you can’t afford to, you won’t be able to get it fixed. So it is important to consider this in your finances and prepare to sort things out for yourself. A savings account that you add a little money to each month is worth setting up. Don't be left in the cold or without hot water in your new home should your boiler breakdown or fail. 24/7 Home Rescue can cover you from just £5.00 per month which provides an annual safety check and service on your boiler as standard, and peace of mind against any unexpected boiler breakdowns. They will even cover you for water or home electrics for an additional fee per month. Get covered and know your heating, hot water and electrics are in good hands in your new home. It is important you are organised from the very beginning, or you will only cause confusion for yourself further down the line, so why not get a few items that will help you with this. Folders and labels are great to separate all your important paperwork, so it is easy to get hold of and reference when you need to. Likewise, you may want to create a spreadsheet for yourself, so you know when bills go out and so on. Budgeting is a big part of taking responsibility and organisation. You need to know how much you have as part of your organisation and make sure you have the money to pay for anything you may need to. Another spreadsheet will be helpful for this – include all incomings and outgoings and refer back to it on a regular basis. Alternatively, there are various apps you can download to keep track of your spending, simply search on your app store and install one on your phone. Tenants of rental properties come and go, while you could have one neighbor for years, another could simply be for months. It can feel like just as you get to know them one of you is ready to move on. However, once you have purchased your home your neighbours are likely to be much more long term. So, take the time to get to know them. You never know when you may need them… for a bowl of sugar, perhaps? You may want to start buying things for your new property early – perhaps your rental is furnished so you will have no furniture to take with you. By starting early, you can spread out the cost plus you won’t have to sit on the floor to eat your dinner for the first few weeks! But, where do you keep it all? In storage, of course! A storage unit provider, such as Ready Steady Store, is the perfect place to keep all you need, for as long as you need – with peace of mind that it is safe and secure.